Up, up and away! Float over the countryside on a magnificent hot air balloon ride in Glens Falls. The whole world stops around you as you drift slowly--almost motionlessly--over the stunning Adirondack countryside in a secure little basket attached to a vibrant, billowed balloon. Take in the scenic beauty of mountains, lakes, forests and farmlands in a birds-eye panorama from the drifting balloon. Brush the treetops as you get up-close and personal with beautiful stretches of Adirondack forestland in an otherwise still, gentle voyage across the sky. Adirondack Balloon Flights in Glens Falls was New York's first hot air balloon company. Be adventurous. Go for a hot air balloon ride! Glens Falls is full of great local and national history with its two major museums. The Hyde Collection is an art museum complex and historic house filled with beautiful and intriguing pieces of artwork, sculptures, textiles, furniture and more. The Chapman Historical Museum in Glens Falls is at the restored Victorian home of the DeLong Family. The exhibition gallery is continually changing to reflect different historical interests and to give visitors a consistently new and rewarding experience. 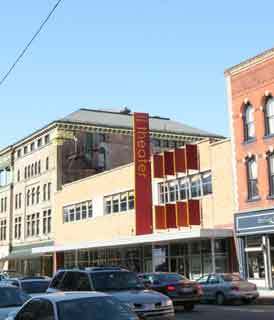 Come witness extraordinary performances at the Charles Wood Theater in Glens Falls, featuring weekly plays, ballets, concerts, festivals and other shows. These performances offer a heartwarming taste of culture at a very affordable price. Many shows are great for children, and all shows feature some of the most talented performers in the region. Do both at the same place! Aimie's Dinner & Movie combines enjoyable and friendly dining with the latest flicks from the box office for a truly unique experience dining in Glens Falls. Choose from their Casablanca Chicken, Tinsel Town Tenderloins and other creative menu options as a friendly server takes your order. Then settle down for the movie as they turn down the house lights and turn on the projector. You'll watch Hollywood's latest films from the comfort of your seats while you're enjoying your delicious meals at a private table. Third Thursday Art Walk of Glens Falls is a monthly art event that gives you the opportunity to explore the local art scene in downtown Glens Falls. On the third Thursday of every month, downtown sees a host of artists' receptions at local art galleries, giving you a chance to check out amazing local art pieces and meet the artists themselves.